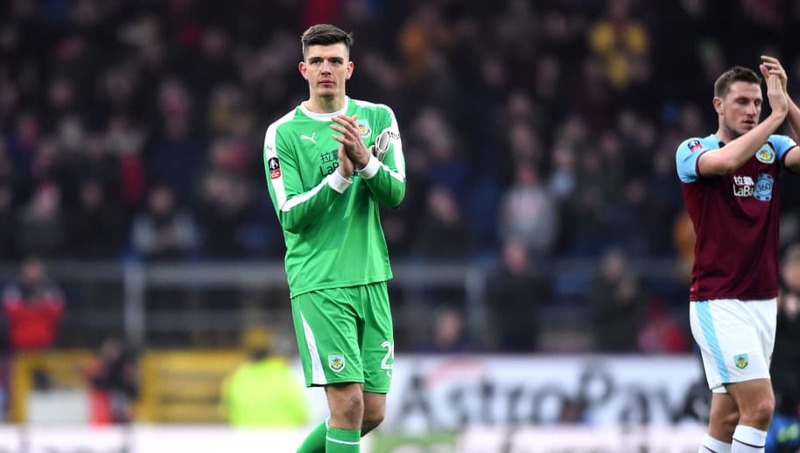 ​Arsenal are interested in making a move for Burnley keeper Nick Pope to replace Petr Cech, who is set to retire from football at the end of this season. Pope had a fantastic season last year, making 35 appearances in the top flight and was rewarded with a call-up to Gareth Southgate's World Cup Squad. This season has been a different story for the shot-stopper, as Pope suffered an injury that has seen him miss the majority of the campaign. He dislocated his shoulder in a Europa League qualifier against Aberdeen during the pre-season. ​Joe Hart started the season playing in goal, but Sean Dyche reverted back to Tom Heaton, leaving Pope out of the squad. With three keepers all vying for one spot, Pope seems to be the unlucky one who can't get into the team. He may see a move to the ​Gunners as a good chance to play at a higher level and experience more European football. Since returning from injury he's played two FA Cup games whereas Tom Heaton appears to be favoured in the league by ​Burnley manager Sean Dyche. According to ​The Sun, Burnley will demand a figure of £10m to send him to north London, where he will be Arsenal's second choice keeper behind Bernd Leno. Another option for Emery could be to bring back David Ospina into the fold, who is on loan at Napoli for the remainder of the season. ​Tottenham, meanwhile, who were credited earlier this season with an interest in Pope, have reportedly dropped their interest after being impressed with the form of back-up goalkeeper Paulo Gazzaniga. The Argentine has stepped between the sticks to replace Hugo Lloris at times this season, with manager Mauricio Pochettino now appeased by the quality of his understudy.